This is a ‘Bolt On’, but requires column modifications or tilt custom column like '605'. conversion. It is so good that we are no longer making or selling '605's'. 1. 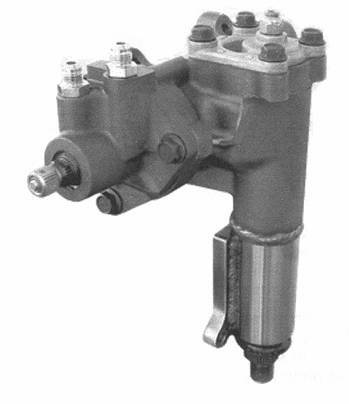 Conversion requires shortening stock steering column or a specially made tilt column. or a '605' with a column shift manual column. 2. We highly recommend the use of a rag joint for the connection to the steering column. 3. Pitman arm supplied mates to original manual steering center link. 4. Pump, Pump brackets, Hoses etc not included. See Group 10 in catalog or call. See catalog for other steering options or call.